The perfect mix of warm, beachy shades by ILIA Beauty to create an endless summer glow. 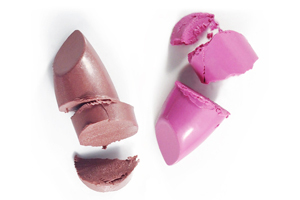 2 Multi-Stick shades and 2 pearlescent Illuminator shades for endless combinations ! Organic makeup palette for the face. Helianthus Annuus (Sunflower) Seed Oil*, Ricinus Communis (Castor) Seed Oil*, Theobroma Cacao (Cocoa) Seed Butter*, Beeswax (Cera Alba)*, Euphorbia Cerifera (Candelilla) Wax, Sesamum Indicum (Sesame) Seed Oil*, Butyrospermum Parkii (Shea Butter)*, Citrus Aurantium Dulcis (Orange) Peel Wax, Zea Mays (Corn) Starch*, Persea Gratissima (Avocado) Oil, Tocopherol. May Contain : Mica, Titanium Dioxide (CI 77891), Iron Oxide (CI77499, CI77492, CI77491), Red 7 CI15850, Red 28 CI45410, Yellow 5 CI19140.